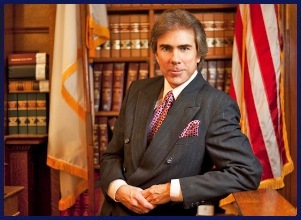 Attorney William Kickham has been a member of the Massachusetts and Federal Bars since 1988. Prior to entering the private practice of law, Attorney Kickham was Public Affairs Counsel in the mid 1980's for the Massachusetts Academy of Trial Attorneys, the Massachusetts affiliate of the American Association for Justice. (For many years previously known as the Association of Trial Lawyers of America, or ATLA.) In this position, Attorney Kickham specialized in tort law, personal injury law and civil justice matters. He testified regularly before committees of the Massachusetts legislature and before members of Congress, as well as appeared in many broadcast and newspaper / print media, and is a specialist in tort law. Later, in the late 1980's and early 1990's, Attorney Kickham served as Regional Director on insurance liability issues for a major national property / casualty insurance trade association, the Insurance Information Institute. In this capacity, he managed liability insurance issues for the insurance industry, appearing regularly on talk shows, and in print and broadcast media, as well as before state and federal legislators and consumer groups to explain complicated legal issues. For nine years, from 1995 to 2004, Attorney Kickham was the host of his own television program, "At The Bar," broadcast most recently on the Comcast cable network in the suburban Boston market. A public affairs talk show, At The Bar discussed and analyzed a wide variety of legal issues and cases of interest to the viewing public, from national media cases to high-profile cases in Massachusetts and New England. Attorney Kickham's guests included the Attorney General of Massachusetts, legislators and members of the Massachusetts General Court, the President of the Association of Trial Lawyers of America (now the American Association for Justice) and legal celebrities. In addition to serving as Host, Attorney Kickham was also the Executive Producer of At The Bar . He has appeared several times as a commentator and legal analyst on Court TV . Importantly, Attorney Kickham uses these media skills when necessary in representing his clients in complex personal injury cases. This is an important benefit our firm offers, and represents specialized expertise that most other firms can not provide. Attorney Kickham has extensive experience managing media relations on high-profile legal cases and issues, and brings time-tested skills in positioning his clients' best interests before the media, when necessary. This can mean minimizing exposure, or possibly maximizing discussion of his clients' cases in the media, for their targeted benefit. In today's information age, this kind of added skill is a distinct advantage, and can be critical to producing the specific legal outcomes you seek. Attorney Kickham is a member of "Who's Who In America," was a recipient at age 22 of Outstanding Young Men In America , and was a Trustee Scholarship Recipient at Suffolk University Law School. He resides with his wife, Debbi, in Westwood, Massachusetts.